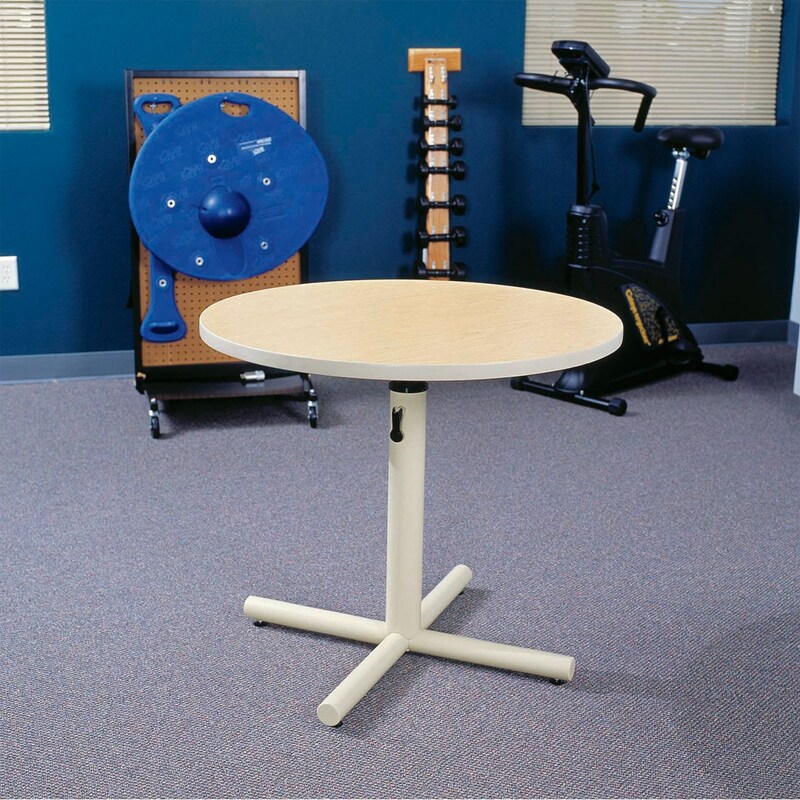 MaxiAids | Round Group Therapy Pedestal Table- 47-in. Diam. Round Group Therapy Pedestal Table- 47-in. Diam. Easy-turn hand crank adjusts height from 25 to 33 in. This generous 47-inch diameter group therapy table comfortably accommodates 4-5 people. It provides variable height, allowing you to adjust according to the therapy activity and whether or not your participants use wheelchairs. An easy-to-turn hand crank adjusts the table's height between 25-33 inches, offering maximum flexibility for your facility. Other features include a 1-1/8" thick durable laminate top, heavy T-molding edge treatment, powder-coated heavy gauge steel frame, hand-crank operated lift system and floor levelers. Two-Year Warranty. Product Shipping Weight: 87 lbs.